Purchasing a Franchise – How to get into business with BIG companies. 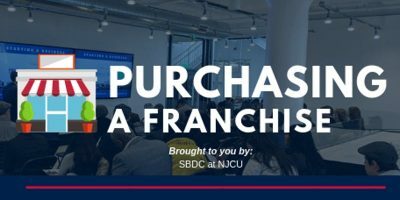 This course will take you through steps of becoming a business owner through a franchise, how to find opportunities, funding, and more. Sponsored and paid for by: the United States Small Business Administration, Small Business Development Center at NJCU, New Jersey City University, Frannet, & North Bergen Public Library.